A glacier more than 80 times the size of Manhattan is on the brink of splintering from Antarctica's Larsen C ice shelf and floating off into the ocean. 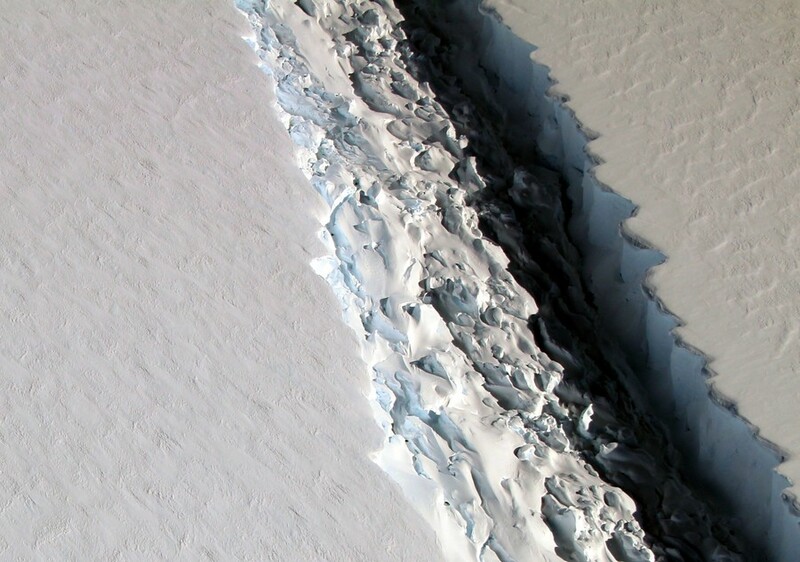 Over time, a rift has steadily formed along the massive ice sheet, which lies in the Weddell Sea near the northwest of the Antarctic. Pictures released by NASA last November showed a 100-meter (328ft) wide and 500-meter deep (1640ft) crack slicing the incredible sub-zero temperature environment. According to Project Midas, a UK research group documenting the effects of global warming in the area, 10 percent of the overall Larsen C ice mass is now close to calving into the sea. It could mean the creation of a 5,000 sq km (193 sq mile) iceberg. The threat of massive glacial upheaval has not only put the future of the ice shelf at risk, but also brought danger to the door of those carrying out research at the Weddell Sea location, according to the British Antarctic Survey. 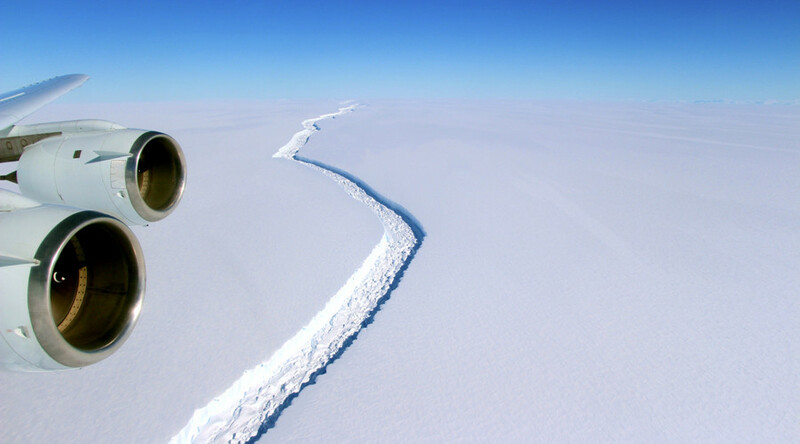 “The calving of this large iceberg could be the first step of the collapse of Larsen C ice shelf, which result in the disintegration of a huge area of ice into a number of icebergs and smaller fragments,” said Professor David Vaughan, director of science at the organization. In 2002, two-thirds of the nearby Larsen B ice shelf collapsed in less than six weeks. NASA compared the sudden environmental change to a “car accelerating from 55 to 440mph”. News of the impending Larsen C split comes as a study by the University of California and a group of scientists from non-profit group Berkeley Earth revealed the rate of ocean warming has risen from 0.07 to 0.12 degrees Celsius in the last 19 years. The analysis also found that the switch over from ship to buoy temperature measurement created a ‘cooling bias’ which led to talk of a climate change slowdown or “global warming hiatus”. Published in the journal Science Advances, the study suggests the switch over from ship to buoy measurement lead to varying results from three major climate research centers: the Hadley Centre, the National Oceanic and Atmospheric Administration, and Japan’s meteorological agency. “These results serve as a robust, independent validation of the NOAA temperature record and show us that the new NOA temperature record is probably the best estimate of global ocean temperatures for the last 15 years,” said Zeke Hausfather, a UC Berkeley graduate and lead author of the paper.